manicstreetpreacher just needs to clear something up. I don’t mean to be argumentative, but the insides of the cells depicted here do look to me like blobs. But qualitative interpretations like this aside, the fact is that Darwin had no conception of molecular biology or the intricate nano-engineering that Michael Behe, for instance, describes in the cell. Moreover, it’s straightforward to examine the actual history of the scientific understanding of the cell to realize that the cell in Darwin’s time was conceived as simple, indeed so simple that it could spontaneously generate. Jonathan Wells and I describe some of this in HOW TO BE AN INTELLECTUALLY FULFILLED ATHEIST. But perhaps the easiest way to see that “Manic Street Preacher” is blowing smoke is to do a search on “Bathybius Haeckelii” – slime dredged up from the ocean floor thought to be the primordial living matter. This proved to be a big embarrassment to Huxley and Haeckel. The details here are unimportant. What is important is that biologist of Huxley’s and Haeckel’s stature thought that life could be so simple as to be the result of this slime. “Manic Street Preacher” reminds me of Joey Bishop in the movie A GUIDE FOR THE MARRIED MAN [IMDB]. Bishop, caught in flagrante delictu with another woman by his wife, denies all wrong doing (and, if he were a Darwinist, would accuse his wife of infidelity). Eventually, the wife, suitably cowed, accepts the denials and agrees that nothing happened. Well, here at UD we don’t let Darwinists get away with such nonsense. Darwin and his contemporaries didn’t have a clue about the complexity of the cell. History bears this out, Darwinian revisionism notwithstanding. Antievolutionists make lots of claims about Charles Darwin, seeking to impeach the authority of someone born 199 years ago today. Given that science moves on and leaves no one’s ideas untouched, one would think that they would stick to negative claims that would stand up to some scrutiny. Again and again, though, we find that they continue to espouse negative claims that are just plain silly, at least to those with even the slightest familiarity with the actual record that Darwin left. [A] common antievolution claim about Darwin, simply put, [is] that Darwin considered the contents of cells to be “black boxes”, comprised of a simple or homogeneous protoplasm. This is expressed in similar ways by a number of antievolutionists. The following is just a sampling of the available instances. To Darwin, then, as to every other scientist of the time, the cell was a black box. Scientists use the term “black box” for a system whose inner workings are unknown. To Charles Darwin and his contemporaries, the living cell was a black box because its fundamental mechanisms were completely obscure. We now know that, far from being formed from a kind of simple, uniform protoplasm (as many nineteenth-century scientists believed), every living cell contains many ultrasophisticated molecular machines. In addition, biochemists and biologists have discovered a microscopic world of mesmerizing complexity belying the simple blobs of protoplasm that Darwin imagined. Antievolutionists don’t go looking at the primary sources to come up with these nuggets; one of them creates a “magic bullet”, and the rest pass it around like a game of “telephone”, sometimes resulting in a garbled mess. As Casey Luskin’s contribution here indicates, the likely source of the BS in this case is Michael Behe. Why call it BS? Because anybody can disconfirm the claim in seconds with a modern Internet search, and only moderately longer using the past technology scholars have long relied upon for substantiating claims about prior work. Notwithstanding the astounding complexity of the processes implied by this hypothesis of pangenesis, yet it seems to me to comprehend the several leading facts better than any other view. On this hypothesis we may fancifully look at each animal and plant as being compounded of many beings, in the same manner as a tree or coral is compounded of many similar beings; but in neither case have these so-called beings had a separate existence. Each of these beings, or parts, is supposed to be capable of throwing off gemmules, which whilst within the organism are capable of self-increase, and which can be separately developed at the part or organ whence they were derived, and can be united, as in the case of hybrids, with other gemmules into a single germ or bud, which reproduces the complete parent form. On this view, each organic being may be looked at as a little universe, formed of a host of different self-propagating organisms, almost as numerous as the stars in heaven, and as minute as they are immense. As, however, a cell is a complex structure, with its investing membrane, nucleus, and nucleolus, a gemmule, as Mr G H Lewes has remarked in his interesting discussion on this subject (Fortnightly Review, Nov. 1, 1868, p. 508), must, perhaps, be a compound one, so as to reproduce all the parts. Two papers by Darwin published in 1882 demonstrate Darwin’s readiness to experiment in resolving sub-cellular processes, using chemistry and microscopy to aid in the work. Darwin, C. R. 1882. The action of carbonate of ammonia on chlorophyll-bodies. [Read 6 March] Journal of the Linnean Society of London (Botany) 19: 262-284. Darwin, C. R. 1882. The action of carbonate of ammonia on the roots of certain plants. [Read 16 March] Journal of the Linnean Society of London (Botany) 19: 239-261. Secondly, the charge that Darwin did not know anything about the inner workings of the cell is purely an academic point and I corrected Dembski mainly to preserve Darwin’s reputation and correct him on this bogus canard that he and his ilk keep trotting out. There was a great deal that Darwin did not know about and/or where he was plain wrong. Dembski is correct in pointing out that he had no idea about genetic mutations, DNA and molecular biology. However, his theory has been revised, updated and indeed strengthened by the subsequent 150 years of scientific research, experimentation and peer-review by scientists who have had far greater knowledge and far more advanced technology at their disposal. This is the science that has rid the world of smallpox and flown us to the moon. 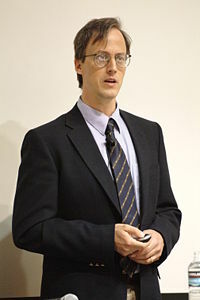 Even if Dembski and Behe had their way and people accepted that there was an extraterrestrial intelligence behind the complexity we see in nature, even if the unthinkable happened and the designer actually revealed himself in the middle of an international event with the entire world watching and told us directly to be nice to each other, nothing whatsoever would change about the way we do science. We could not even confront the designer and ask him to repair what he makes, like Roy Batty in Ridley Scott’s 1982 sci-fi classic Blade Runner. The proposition that humans beings are created in the image of God is one of the bedrock principles on which Western civilization was built. Its influence can be detected in most, if not all, of the West’s greatest achievements, including representative democracy, human rights, free enterprise and progress in arts and science. One piece of scripture that has stuck with this manic street preaching heretic is something St Paul said: “When I was a child, I spoke as a child, I understood as a child, I thought as a child: but when I became a man, I put away childish things. For now we see through a glass, darkly.” (1 Corinthians 13: 12 – 13). Time to put away childish things, guys. Non-scientist manicstreetpreacher presents his case against “Intelligent Design Theory” following William Dembski’s debate against Lewis Wolpert – Unbelievable?, Premier Christian Radio, 2 January 2009. 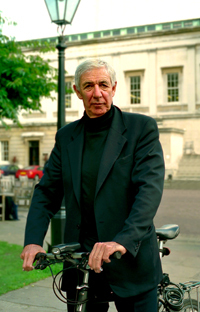 Lewis Wolpert (whose discussions with Russell Cowburn I reviewed here) sounded rather irate in last Saturday’s edition of Premier Christian Radio’s Unbelievable? and frankly, who can blame him? The South African born atheist embryologist and author of Six Impossible Things Before Breakfast was in conversation with William Demski, American fundamentalist Christian who is also a leading proponent of “Intelligent Design” and author of The Design Inference and No Free Lunch. I won’t give a blow my blow account of the debate itself, but there are a few points which Dembski needs to be hauled up on (no doubt for the umpteenth time which will not make the slightest difference, but it’s the principle that matters!). Firstly, “complexity” and “improbability” appear to be Demski’s favourite words in the English language, which of course make him no different than all other creationists or people who argue from design. Apparently, the complexity that we see in biology is just so incredibly complex, that there comes a point when the zeros after the decimal point become too many and we can infer that it was The Thing That Made The Things For Which There Is No Known Maker. So what if it’s all enormously complex and improbable? I have heard it said that the probability of the first self-replicating carbon based cell arising on Earth is greater than the number of atoms in the known universe. Fine. What the hell, let’s say that it’s TWICE the number of atoms in the known universe. It’s no use ruling out natural events on the arbitrary notion of low probability. You have to compare it with the probability of the alternative you contend is more likely. What’s the probability that the laws of nature are violated? What’s the probability that an invisible and undetectable designer – natural or supernatural – created it? I’ve never heard a creationist or “design theorist” answer these questions and Dembski disappointed me yet again. Perhaps the improbability of design is even greater, and what data does Dembski have to make the calculation? None I would say, because there is no evidence of a designer whatsoever. This reasoning also fails on the basis that low probability events happen all the time. If you crunch the numbers in relation to your own birth (i.e. the probability that a particular sperm united with a particular egg multiplied by the probability that your parents met and repeated the calculation back until the beginning of time), you will get a fantastically low probability. Theistic evolutionary scientist Francisco Ayala reinforced the point during his recent debate against Christian apologist William Lane Craig on whether Intelligent Design was a viable alternative to evolution. Ayala remarked that there’s no need to argue against Dembski and Co, because their very existence on this Earth is so mind-bendingly improbable that they were never born! See, they show the inner workings of the cell and clearly show its complexity. Scientists in Darwin’s time, in fact, had quite a good understanding of what cells were, and they were not simply “blobs of protoplasm”. This is yet another creationist hoax which is easily debunked. Third and finally, some ID theorists out there may resent my description of Demski as a “fundamentalist Christian” or think that this has nothing to do with his “science”. 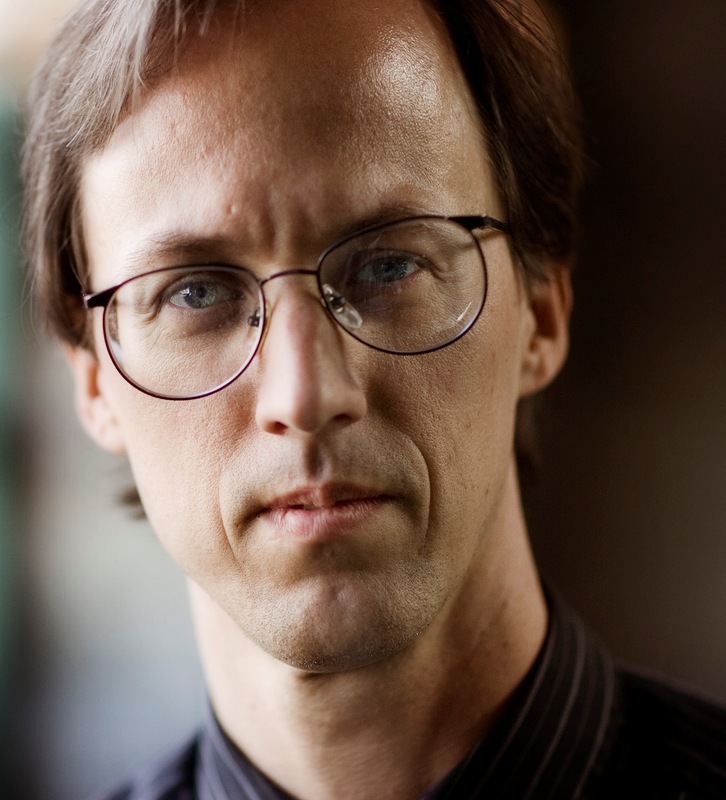 However, they may wish to know that Dembski teaches at Southwestern Baptist Theological Seminary, Fort Worth, Texas. Below are a series of extracts from assignments and exam papers that are set for students which came to my attention after a thread was posted on RichardDawkins.net. Make your best argument against theistic evolution. In other words, if you were in a debate situation and had to argue against theistic evolution, how would you do it? Lay out your own view of the relation between science and theology. Are they in conflict or consonance? Should they be compartmentalized? Do they support each other? Is it important to harmonize them? Etc. Have advances in the natural sciences over the last 40 years made it easier or harder to be an intellectually fulfilled atheist? Explain. You are the Templeton Foundation’s new program director and are charged with overseeing its programs and directing its funds. Sketch out a 20-year plan for defeating scientific materialism and the evolutionary worldview it has fostered if you had $50,000,000 per year in current value to do so. What sorts of programs would you institute? How would you spend the money? You just learned that your nephew or niece is going off to study theology at a liberal seminary. You suspect the place is teeming with “Homer Wilsons,” i.e., professors intent on eroding any real faith of the seminary students. Write a letter to your nephew or niece outlining the pitfalls that they are likely to face and how they should protect their faith from eroding. According to Richard Dawkins, faith is believing in the absence of evident [sic]. By contrast, Nancy Pearcey argues that the attempt to remove Christian faith from the realm of knowledge and evidence has led to Christianity’s cultural captivity. Make the case that Christian faith is a matter not of subjective opinion but of objective knowledge. No amputees are recorded as having been healed in the New Testament (i.e., no one with a missing limb is said to have grown back the limb in response to a prayer by Jesus or one of the Apostles). Indeed, throughout Church history it appears that no such miracle has occurred (if you know of a wellconfirmed [sic] case, please cite it). Atheists therefore argue that if miracles really happened and gave evidence of God, God would have performed a healing like growing back the limb of an amputee. Do atheists have a point here? How do you maintain that miracles are real in the face of such criticism? AP410 This is the undegrad [sic] course. You have three things to do: (1) take the final exam (worth 40% of your grade); (2) write a 3,000-word essay on the theological significance of intelligent design (worth 40% of your grade); (3) provide at least 10 posts defending ID that you’ve made on “hostile” websites, the posts totalling 2,000 words, along with the URLs (i.e., web links) to each post (worth 20% of your grade). AP510 This is the masters course. You have four things to do: (1) take the final exam (worth 30% of your grade); (2) write a 1,500 to 2,000-word critical review of Francis Collins’s The Language of God – for instructions, see below (20% of your grade); (3) write a 3,000-word essay on the theological significance of intelligent design (worth 30% of your grade); (4) provide at least 10 posts defending ID that you’ve made on “hostile” websites, the posts totalling 3,000 words, along with the URLs (i.e., web links) to each post (worth 20% of your grade). Aside from this, Wolpert correctly pointed out that Dembski’s reasoning is a mere language game. Even if the designer was eventually discovered and observed, this would not change the way Dembski carries out his science one iota. The man hasn’t proved anything and never will. Even if Darwin’s theory is completely wrong, even if the evolution of Homo sapiens we observe today is more improbable than the number of atoms in a billion universes that is still not evidence for either design or a designer. The Intelligent Design movement is nothing more than racket and a Wedge Strategy (download PDF) to bring creationism into school science classrooms by the back door. As a wise man has observed of late, it may be designed but there’s nothing intelligent about it. Listen to the debate in full if you must.